New, Game With Makers ABS Case and 5 Chokes and Key. The Optimabore HP technology, combined with Steelium, provides excellent accuracy and pattern quality with any kind of shots. 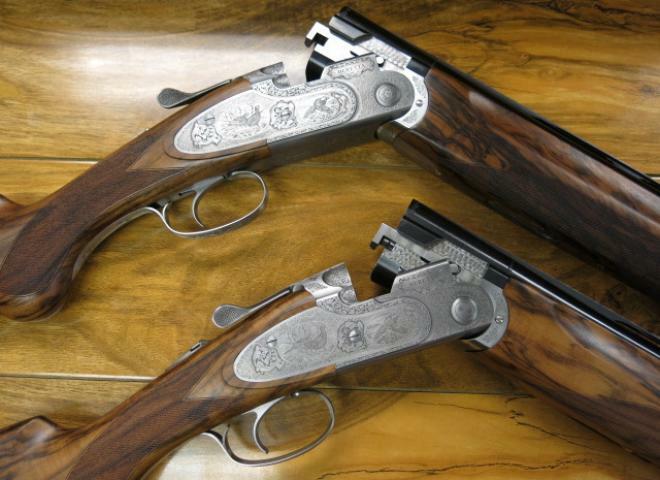 THE SUPERB BERETTA EELL CLASSIC. LOVELY PIECE OF HIGH GRADE WALNUT ON THIS ONE. 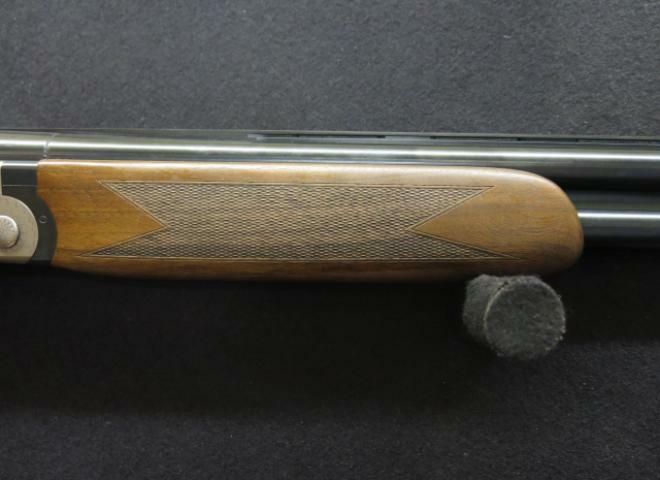 BEAUTIFUL GAMESCENE ENGRAVING WITH FULL LENGTH TRIGGER TANG. 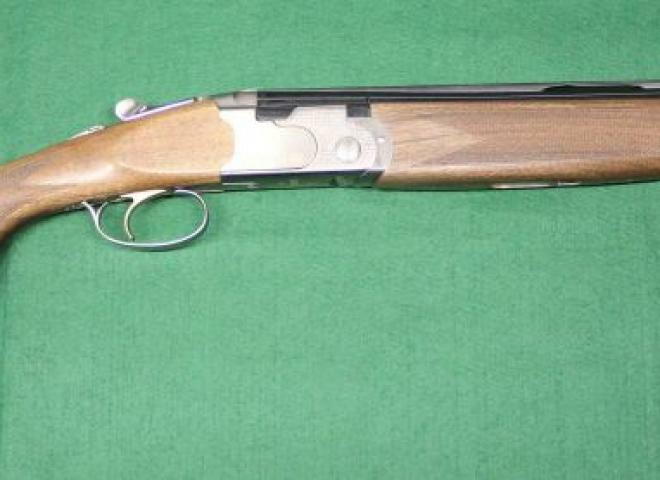 This gun is a genuine UK import, and is covered under a full UK warranty. The 690 Field III truly brings the Beretta over & under in a new era, where the mostcutting edge technology blends with the traditional Beretta design to deliver a shogun that is absolutely outstanding. 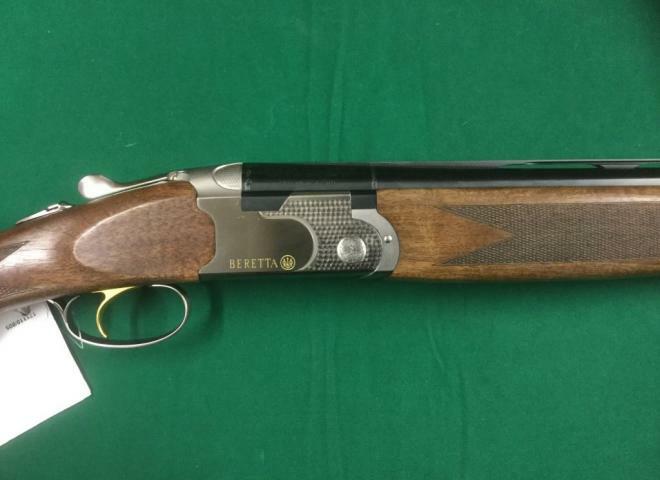 The Gun Room offers you the opportunity to purchase a new Beretta White Onyx game gun with 30" multi choked barrels, auto safe with nice wood, cased. Great value gun from Beretta c/w 5 chokes & makers plastic case. The Onyx is back - complete with the usual Makers case, 5 chokes and choke key. 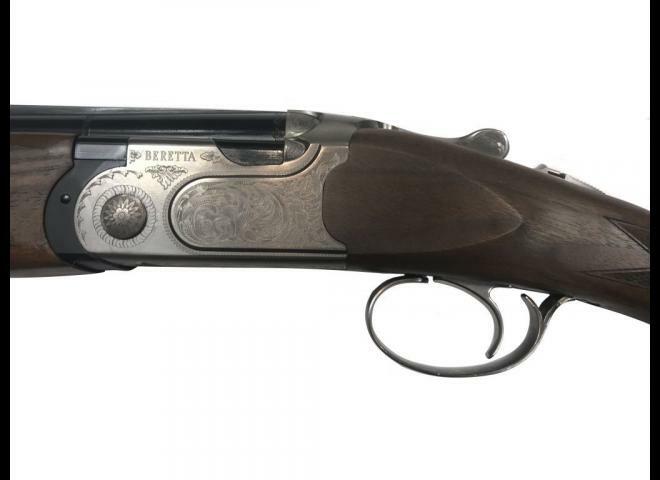 Superb entry level gun into the famous Beretta range and its £155 cheaper than a 686 Silver Pigeon. This ultimate competition over and under is brand new with the Beretta hard case and chokes. New Beretta White Onyx over and under, the ever popular model being reproduced in a limited quantity - 20 gauge field model with 30" barrels, 3" chambers and five multi chokes. All cased in the iconic blue Beretta makers case. 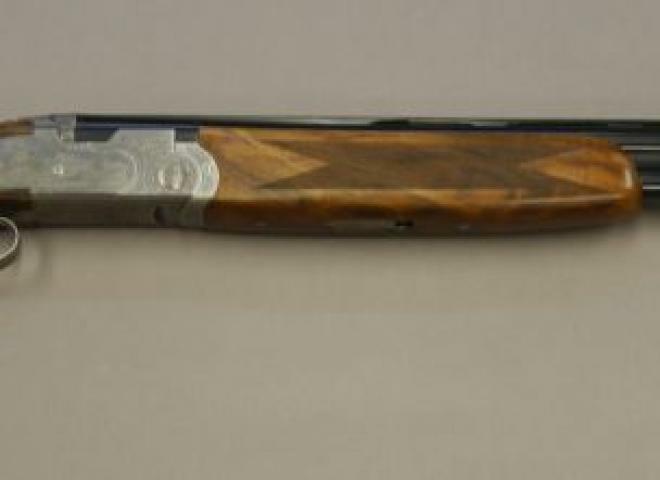 A beautiful example of this light weight Italian game gun , this gun comes with a flawless highly figured oil finished stock . The stock can be easily extended using Beretta pads . Beautifully scroll engraved in a Beretta green canvas and leather case. This is a new gun but old stock. New price would be £17,250 today. The Latest Semi-Auto from Beretta the A400 Xcel Black Edition. Featuring Berettas Kick Off recoil pad, Carbon Rib and Extended Multi Chokes. Fantastic gun for clay or hide. 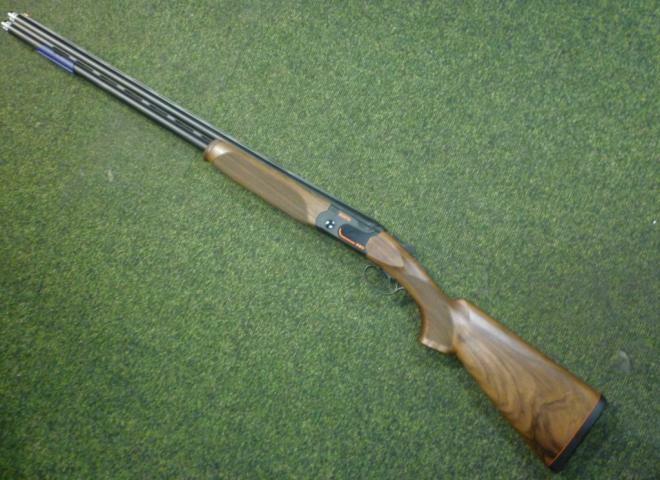 A GENUINE SPORTER WITH OPTIMA CHOKES (Not a converted Trap gun) BUILT IN 2002 WITH LITTLE USE.. 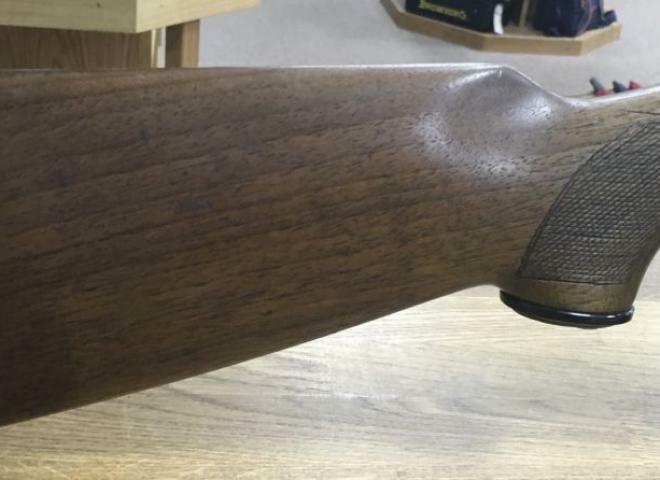 Stunning looking Beretta 687 EELL Classic with beautifully figured walnut furniture and new prince of wales stock. The Gun Room offers you the opportunity to purchase a new Beretta Silver Pigeon 1 Adjustable Sporter, with 30" multi choked barrels cased. 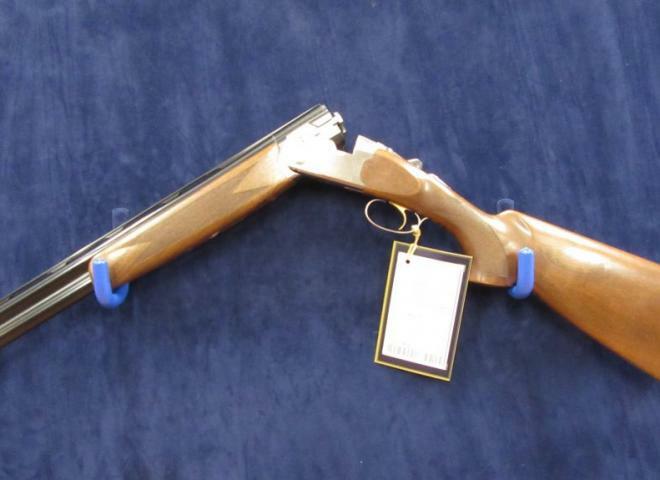 The Gun Room offers you the opportunity to purchase a New Beretta 690 1 Scroll, sporting, with 30" multi choked barrels. Stunning example, now reduced from £10500. Beautiful Beretta 687 EELL Field model with hand engraved side plates set against lovely dark figured high grade walnut furniture. IDEAL FOR THE TALL TEENAGER OR LADY.